Internet Explorer 8 is our release. The first beta was pushed out today and it shows huge promise. It’s already achieved way more than I would’ve expected and it’s made me hungry for more. If you had bet me that Microsoft would be mentioning the phrases “ARIA”, “SVG”, and “MathML” in their release notes I would’ve lost. A super-fast way of finding elements based upon a CSS selector. The second browser to implement the selectors API has hit the market (behind a WebKit nightly release). It’s important to realize that any selectors here are completely reliant upon the browser’s native selector implementation. IE8 is only shooting for CSS 2.1 support – which means that you really shouldn’t be holding your breath for CSS 3 selectors. As I mentioned previously these blackbox APIs are going to be a source of never-ending hair-pulling and struggle going into the future. I was hoping for some HTML 5-compliant features to land – well, hoping isn’t the right term, perhaps ‘feverishly expecting the worst’ is more correct. However we can see that we’ve been graced with 4 full feature implementations from the spec – fantastic! Already supported fairly well by most browsers. Modifying window.location.hash changes the page URL and adds the page to the history (allowing for back-button simulation in Ajax applications). IE went a step further and broadcasts the hashchanged event (the first browser to do so, as far as I know). A feature that I discussed previously in which data can be persisted in a way that supersedes the use of primitive cookies storage. This has been in Firefox since version 2 but is absent from Opera and Safari. As I discussed previously postMessage serves as a way of communication across frames with simple text strings. IE 8, Opera 9, Firefox 3, and WebKit nightlies all support this feature – making it the only one with complete browser support. This is an interesting feature for doing cross-domain requests but doesn’t appear to conform to the existing Cross-site XMLHttpRequest work which is in Firefox 3. Even at that it appears to be quite crude – forfeiting any form of filtering or security controls for a simple boolean “yes/no” header. Seeing this new API concerns me. The Cross-site XMLHttpRequest work may be in some flux, as some API points are still being hammered down, but it’s doubtful that the resolution will end with something identical to what’s being described by Microsoft. getAttribute/setAttribute have seen a major overhaul – in short: They now behave like they should and as they do in every other browser. The notorious issue of accessing relative/absolute href/src attributes is also resolved – which is just great. They also saw fit to add hasAttribute. .ownerElement and .ownerDocument – Finally we have a unified way of dealing with iFrames. getElementById returns elements by id – ONLY. Been such a long time coming, thank goodness. Doing getAttribute("checked") now returns “checked” instead of true. <button/> values are actually submitted now, instead of their inner text values. Dynamically created (or modified) radio buttons are now checkable. I simultaneously feel both joy and anger in seeing these fixed. Happy that they’re being released and anger for the fact that I had to struggle through them and that they now consume some portion of my brain. This is one area that is completely absent from this beta. We are still stuck with IE’s attachEvent system – no addEventListener in sight. I don’t know how serious they are about supporting Acid3 but it includes a test for addEventListener so they may want to consider it extra strongly. I can partially understand their desire to keep their existing API but I don’t understand why they have no interest in, also, adding addEventListener, etc. to complement what’s there. I assume it’s because they would now have to support concepts like event capturing. I’m really disappointed with this. This should’ve been a top priority fix before implementing new psuedo-XHR systems like XDomainRequest. The IE team has made some big improvements in improving garbage collection issues, memory management, and performance – all of which will be greatly appreciated in everyday applications. This one completely blew me away. ARIA is a fantastic specification for empowering web applications with the ability to clearly communicate their intentions to a screen reader. The biggest hurdle with the effort, up until this point, has been the lack of IE support – obviously this will no longer be the case. Firefox, IE, and Opera all support ARIA now. The WebKit team doesn’t appear to have interest in implementing this feature, which is a real shame. Support for embedding namespaced elements within XHTML is now possible. This means that you can now do inline markup for SVG and MathML, amongst others, and have it “just work” (as long as you have their associated plugins installed). It’s probably a bit much hoping for native SVG support, but I’ll take what I can get. We finally have a heavily-Firebug-inspired tool inside Internet Explorer. To quote Joe Hewitt (creator of Firebug): “I couldn’t be happier that Microsoft completely copied Firebug for IE8.” I have to agree – a tool like this has been a long time coming and it’s greatly appreciated. Only the Internet Explorer team would’ve ever been the ones to build this tool – there’s simply too much information here that’s unavailable to typical IE extensions. At first glance this feature makes the most sense for seeing if your IE 7 page will work ok in IE 8. In actuality, however, this will end up being very useful for developing a standards-compliant page (in IE 8, FF, Safari, Opera) and then toggling to see what the result is like in IE 7. This is so much better than the IE 6 to IE 7 jump where you have to keep your browser in a virtual machine in order for it to run side-by-side (according to Microsoft, at least – even though there were standalone solutions). The Internet Explorer team is collecting feedback from select beta testers and publishing the bugs on a publicly-accessible site. This a huge step in the right direction (going from no communication to some is great). “Common” users are forced to vote for their “favorite” bugs to try and catch the eye of an IE developer. It’s a strange situation but one that shows progress, at least. In all I’m positive about this release, even with all the ups-and-downs. Seeing features like querySelector, ARIA, and postMessage helps to warm my frosty, bitter, heart. While there’s still some major faux-paus in this release (no new JS langauge features?, no W3C events?, no CSS3 selectors?) I think we can, at least, be excited to see what happens in the next beta. If nothing else the Internet Explorer team has done a great job of tackling many of the expectations of the development community – if they continue this trend I don’t think anyone will be left disappointed. What really impress me is the querySelector early implementation. Plus! the idea of having both IE6 and IE8/7 for testing sounds good. I think the late decision of standards mode per default will bring us new updates and releases faster, more than a direct benefit of adding or not the meta tag. and there are still bugs remaining. “Common” users are forced to vote for their “favorite” bugs to try and catch the eye of an IE developer. It’s a strange situation but one that shows progress, at least. I thought it sounded like a decent way to stop the team getting swamped with variable quality feedback, yet still let everyone have some influence on what happens. Wow, great news! Thanks for the extensive write-up here, John. hashChanged event. Great ! Hope firefox, safari will implement something like that !!! I’m very disappointed that there is still no way to subclass arrays, and stuff like .slice.call(nodelist) still fails. This is stuff that should be fixable without breaking older code. Wow, looks very promising indeed. Kudos for MS for keeping up the good work :) And thanks for the nice summary. Does indeed look like a good set of features. I didn’t see them mention anything about fixing their event stuff. Any insights on that? The event name is hashchanged (lowercase). Typo in their documentation. Code seems to do the correct thing though. Webkit does have client storage. It acts like a local database (sql is used for retrieval). This Internet Explorer release seems to be quite good – they did lots of good work. However, I am greatly upset, disappointed about the fact there’s no DOM 2 Events. We are stuck with attachEvent. This should have been top priority. Great summary; and I wholeheartedly agree. a bit off topic, but inspired by the discussion, would you be kind enough to discuss your approach to browser testing in a future post? I am very curious about how/what you test. I love the debugger already. But the JScript is painfully (horribly) slow. I’m hoping that’s due to the earliness of the release. Opera, FF3b3, Safari: 6-9 seconds. Err? “Support for embedding namespaced elements within XHTML is now possible.”? I didn’t know they supported XHTML… http://code.msdn.microsoft.com/ie8whitepapers/Release/ProjectReleases.aspx?ReleaseId=573 looked more like shoehorning XML namespaces into HTML. Which is nice, but can also be… interesting. Toes, I think someone needs to make Flash and Silverlight canvas and SVG implementations rather than using VML. That might make life a lot better. IE8 looks promising, thanks for the great summary! I remain (understandably, I think) skeptical and still tell people to just use Firefox. >>Toes, I think someone needs to make Flash and Silverlight canvas and SVG implementations rather than using VML. That might make life a lot better. That’s a pretty good idea. But it’s nice to have something that works without plugins. Maybe something that tried for Flash and Silverlight and SVG first and fell back on VML if necessary. It still feels a little rough around the edges (understandably so…) — but it’s already shaping up quite well. And I have to say, the Firebug rip-off is great, I mean, it’s a heck of a lot better than the old Dev. Toolbar. > With it we can write graceful offline Ajax applications. Actually no. Those events let you detect going online or offline, but you need a lot more — the rest of the HTML5 Offline spec, which Firefox 3 has — to support applications that actually work properly while you’re offline. Jason: Webkit has HTML5 SQL (on trunk, not shipped), but that’s different from the HTML5 Storage API. And that differs from all the features mentioned that are only present in the unreleased Firefox 3 how exactly? It’s a good idea, though. Someone good with graphics should do this. Actually, it’s a good idea *anyway*. Has anyone thought of this before for existing browsers with data URI support? It might already exist. And something we all missed. @Robert O’Callahan: I had the same thought when I read SVG support via plugins…. what plugins? Maybe Renesis could happen, but I can’t find much online to support that idea. @Mook: ditto on the question of “true XHTML or not?”. I want to stop explaining why HTML4 strict is better than XHTML. John, I like the ARIA item you talked about. I wasn’t aware of this. This is good. IMO, there was too much focus in GUI leaving out many people in the market place. In the past, going back to the early 90s, this was called SFI or Speech Friendly Interfacing. But there was never any official specification, just a basic idea and concept helped by the gwmicro people and others who used a special IRQ to send text too. But gwmicro was big here with their great JAWS hardware and thier VOCAL EYES and then later Windows-Eyes. We were one the first Offline Mail Reader Systems (Silver Xpress) to offer direct SFI technology using the early screen reader vendor’s APIs such as Vocal Eyes. I even found an old document for SFI.TXT (http://www.santronics.com/sfi.txt) describing the SFI features when it added to our mail system. Wow, looking at this document again, I recall the Talking Quoter Feature I invented (I should go patent it today ) that took quoted mail and was able to voice to the reader who say what parts. :-) And while reading a message, it had the ability to allow the user to select/mark words, sentences and/or paragraphs as it cursor thru it. When he was ready to reply, it collected the markings and allow him to response per selected quote. In the end, it build the final response but putting it all together. The result? A nice looking REPLY which was a problem when visually impaired people blindly quoted mail and it wasn’t easy to clean it up. Anyway, I appreciate your summary of IE8. I wasn’t aware of the ARIA efforts. Off hand, I was able to guickly grasp the idea of roles, and the (renewed) emphasis of keyboard controls. But what hit me was the complexity of it all. Maybe the Roles idea make sense. I have to think about it more. Could it be true, do we really have a cross-browser web on the short term horizon? Is this doco that has not been updated to reflect the standards by default backflip? Or am I reading this wrong? 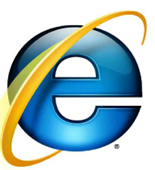 So, what would be the “best” – or rather favorite – way to object detect IE8? Thats nice. at last Microsoft is listening to what rest of the world want. The best way to do cross-browser scripting is by verifying support for the object or method your script function is about to use. Nothing else. Do not do browser version detection: as browsers become more and more and better at supporting and implementing W3C web standards, it is obviously less and less recommendable to do browser sniffing. If you absolutely must use IE-specific CSS code, then do not use CSS hacks (and do not use more markup like a wrapper div or , etc) but you may use conditional comment. None of the CSS hacks targeting IE will work in the future. Gerald, that is what I meant by “object detect”. Which object/method would you check against to detect IE8? The point of object detection is that you do NOT detect what UA it is, but only a certain capability you intend to use. If you really must detect what version of MSIE it is, I suppose conditional compilation is still around. Anyone who has tested that yet? Am I losing my mind, or has element.attributes.length vanished (in either IE 8 or IE 7 modes)? WebKit has ARIA support as an item on their Google Summer of Code 2008 page. The screen.width/screen.height/screen.top/screen.left properties no longer report the actual values when the page is zoomed. You get skewed “zoomed” values instead. IE8 seems to “see” the entire screen with the same zoomed pixel values it uses within the browser window. The same goes for IE’s built-in “Client Capabilities” behavior which also has width,height,top and left properties to query. Plus the screen.availWidth, etc… properties, too. This is the result of IE8 moving from what they call an “optical” zoom feature in IE7 to an “adaptive” zoom feature in IE8. @all: If it matters to you – please report so to the IE team. its a great IE but i had to uninstall it because sites would say done, but with errors on page like windows live hotmail and facebook. Not entirely true. Array now has ‘push’ and ‘pop’ methods as well. I moved to OpenSuse because of Microsoft’s attitude towards SVG. It shows a deeper backstabbing self enritching attitude in Microsoft as a company. They want to force you to use their technologies, so something that can make so many people’s lives easier gets rubbed under the carpet. There is something wrong and evil brewing there. I chose a different path. An open path. Open standards, open source, open minded thinking. Try OpenSuse or Ubuntu for a couple of weeks… you will never go back to Microsoft products! Once you have tasted flying, you are not content with walking. Once you have tasted freedom, you will not tolerate slavery. Want to know if IE8 support scrollable tbody and if it fixed the stacking of select element with other elements. Why don’t all web developers just develop pages that require a standards-compliant browser (i.e. Firefox)? People only support IE because so many naive users think that IE is just how web access works on Windows. It is up to the web-server community to help users realize that IE is junk. I use http://www.goodbyeie6.org.ua/ in big projects, to avoid large code with cross-browser scripting.